Take a look at this carefully maintained ranch home with 1 BR in-law suite, which is accessible through the home and garage. Enjoy quiet evenings on the deck in this secluded and deep, wooded 1.3 acre lot backing up to a ravine. Roll-away awning on the deck, sliding door to sun-filled family room and walk-in pantry off the kitchen provide for comfortable living. Large rooms and incredible storage, including a workshop with separate heater in basement. 3 full bathrooms! UPDATES INCLUDE: NEWER ROOF, YEARLY SERVICING ON BOILER, DECK (2005), SOME WINDOWS (2005) & HWT (2012). 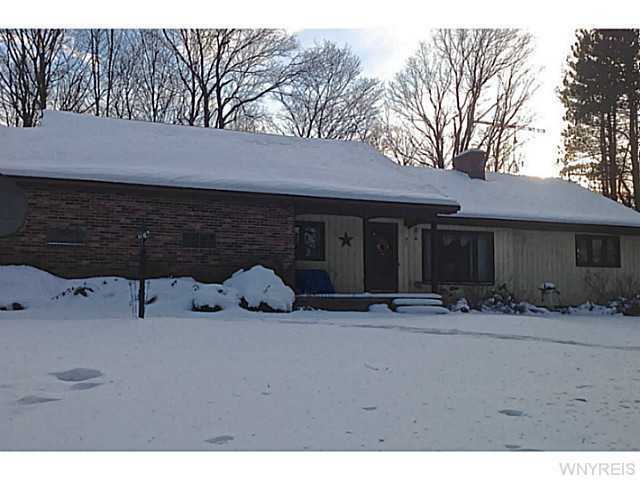 To view the Single Family Residential listing for 8537 Knapp Rd, click here. To view the 2-4 Family Residential listing for 8537 Knapp Rd, click here.